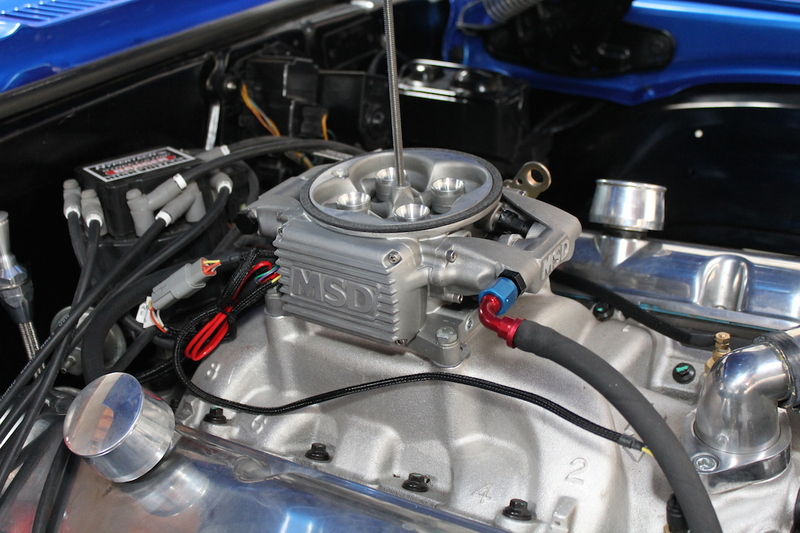 Electronic fuel injection radically changed the automotive landscape – with the wholesale adoption of multi-point fuel injection systems over the last 20 years, cars have become more powerful, more reliable, cleaner, and more fuel-efficient than their carbureted predecessors could have ever been. And while the heart of EFI, the common fuel injector, is a very simple piece of hardware capable of clicking away literally millions of times over its lifespan, things can and do go wrong. Bad gas, electrical or mechanical failure, and leaking seals can all rob performance and cause problems for even these very durable little solenoid valves. 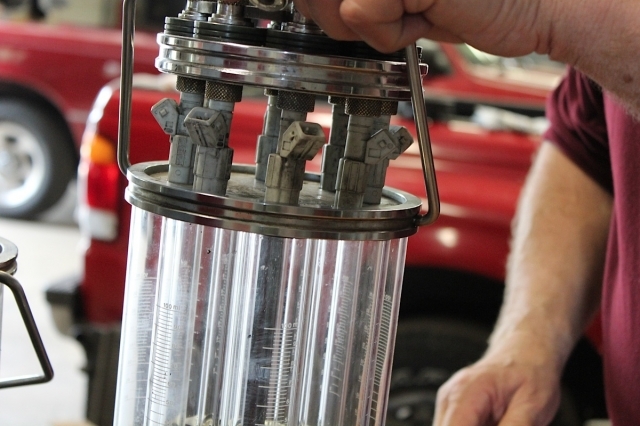 Fortunately, most fuel injectors can be serviced and brought back to health relatively inexpensively when they decide to misbehave – Injector Experts can clean most of the common types for just $20 a pop, saving big money over new replacements and restoring missing performance. We decided to engage their services to help fix an ailing 4th-gen F-body in our project fleet, and learned a good deal about what’s involved in restoring an injector to good health along the way. The first stop is a bit of multimeter triage, where our injectors were checked for proper electrical characteristics before moving on to the next step. The injectors are then baseline tested in a device that simulates typical running duty cycle and fuel pressure. 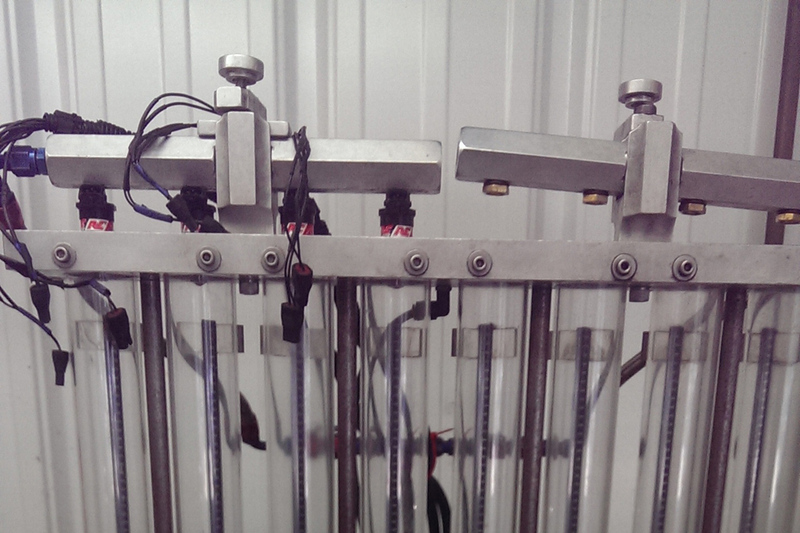 The clear cylinders allow both direct measurement of the amount of fluid delivered over the timed test as well as the spray patterns of the injectors. Time for a spa day – the injectors are stripped down and bathe in an ultrasonic cleaner that scrubs them internally with high frequency sound waves while the injector pintles are cycled open and closed. 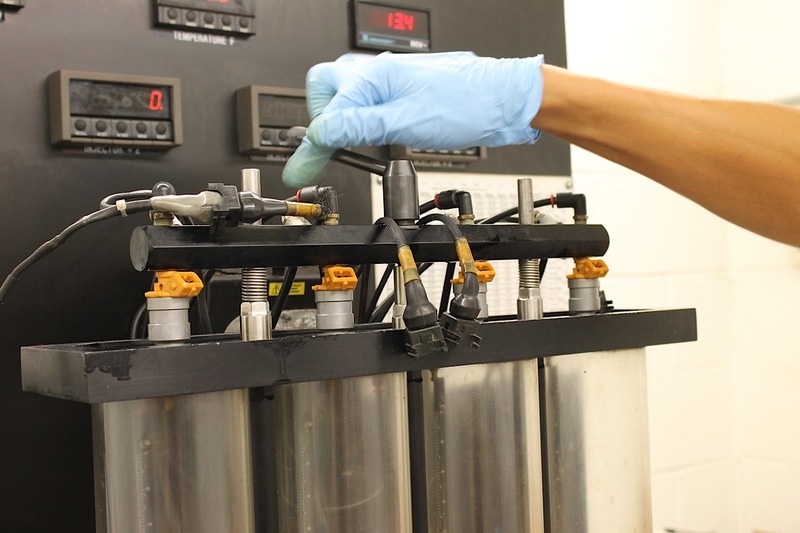 Once the cleaning process is complete, the injectors go back to the test stand for the “after” test, to make sure any problems with spray patterns or flow rate have been addressed. Here’s our injectors’ scorecard – as you can see, we had two that came in with bad spray patterns and slightly reduced flow, compared to the other six. 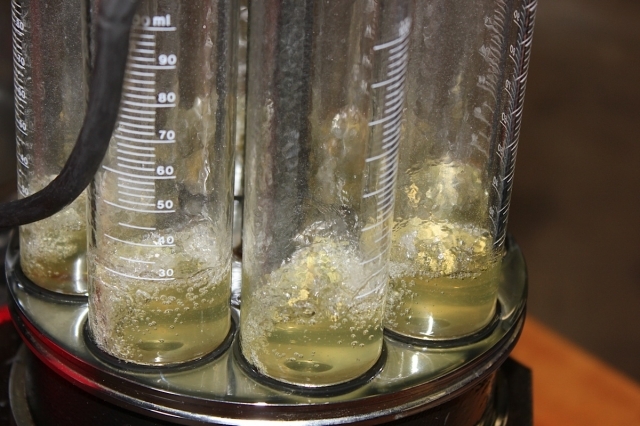 After cleaning, all eight showed improved flow and passed the pattern test. The final step before sending our injectors home involved replacing the internal filters, slipping on new O-rings, and individually bagging each squirter for a safe journey back. Now, we have the confidence that comes from knowing we aren’t going to be held back by leaking, plugged, or otherwise malfunctioning injectors – cheap peace of mind for any EFI engine! After some close calls on the street in his late teens and early twenties, Paul Huizenga discovered organized drag racing and never looked back, becoming a SFI-Certified tech inspector and avid bracket racer. Formerly the editor of OverRev and Race Pages magazines, Huizenga set out on his own in 2009 to become a freelance writer and editor.